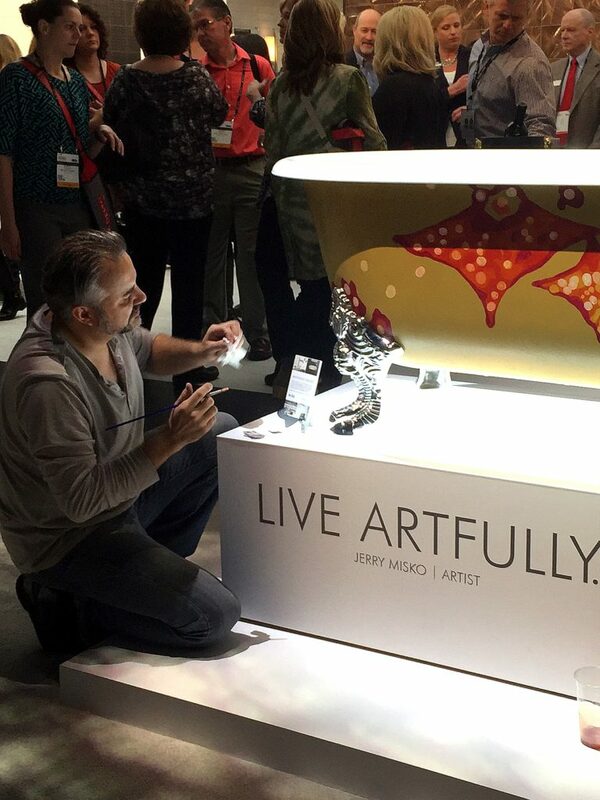 It was a full-tilt, high speed 48 hours in Sin City exploring all the new products at the Kitchen and Bath Industry Show (KBIS) at the Las Vegas Convention Center last week! The above picture showcases what we felt was at the heart of this year’s show: clean lines with the addition of an eye-catching design element. The back splash is actually wall paper covered with a clear plastic panel for easy cleanup. And we’re seeing gold highlights and hardware continuing to make a comeback. If you’re looking for a completely different design element that really stands out, check out this hand-painted tub we saw at the Kohler Booth. This would be a stunning focal point in a bathroom! The design could key off of the colors in the tub or it could be used to bring excitement to a more simple design. Handmade touches are becoming more and more prevalent, especially if you have a creative customer that could lend a hand in their finished design to really make it personalized! Substituting decorative inserts for glass is another unique design detail. 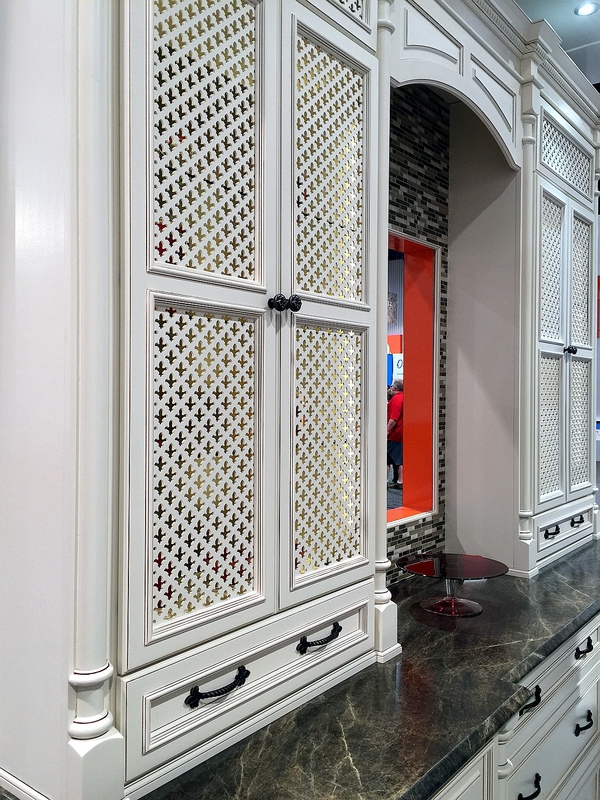 This fleur-de-lis pattern above adds ventilation and style to these pantry doors. 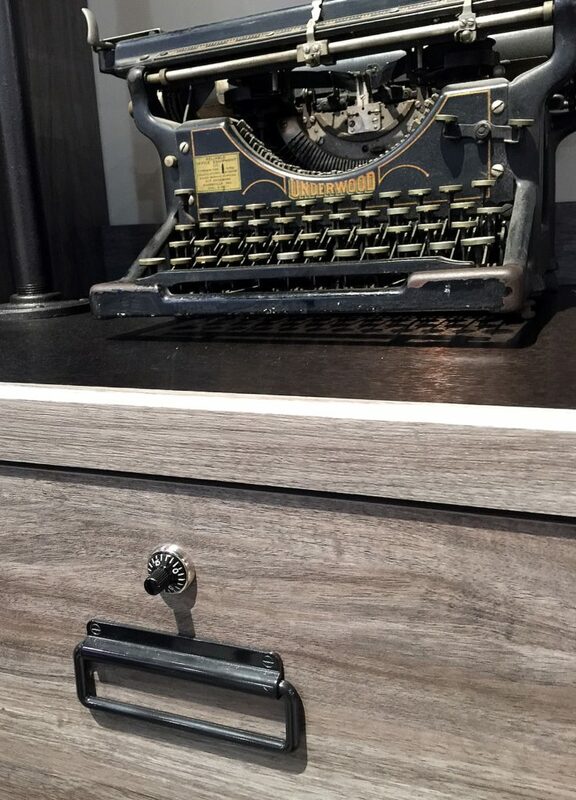 Speaking of unique design details, check out the combo lock on this drawer front. So retro and stylish! Try it out on your next millennial customer looking for that rustic, yet modern feel! 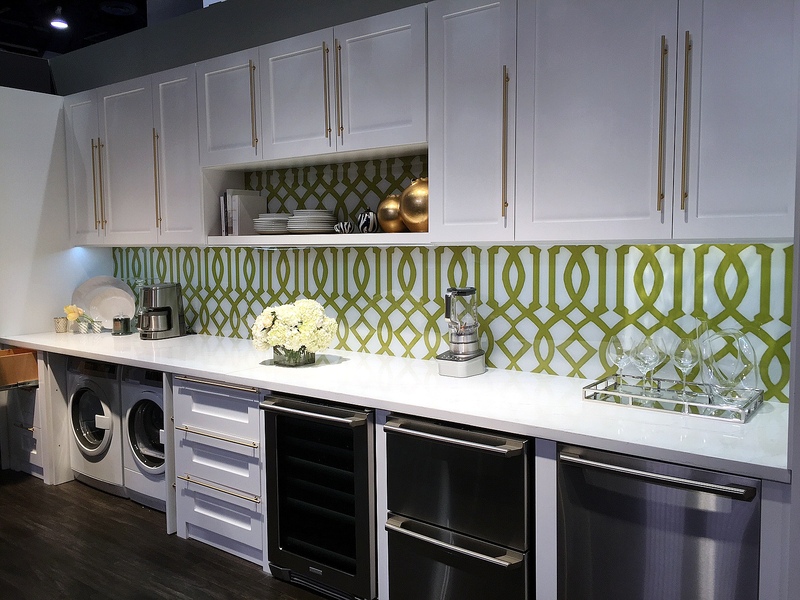 If you attended KBIS, what was your take-away from the show? Most innovative product you saw? What trend might make it into your designs? If you didn’t attend we highly recommend going, you’ll be inspired and awestruck by some of the options and designs. 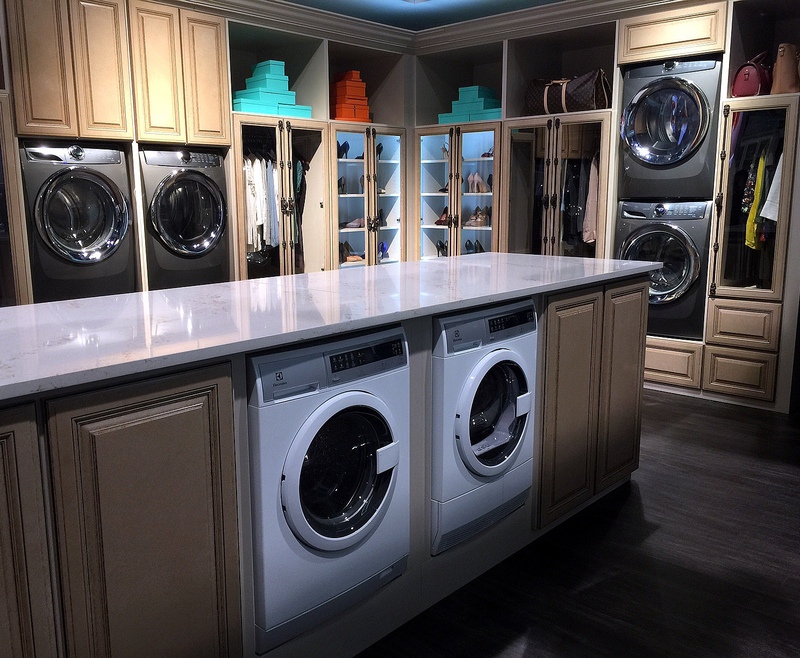 Just check out this innovative idea – laundry in the closet?? Yes please!